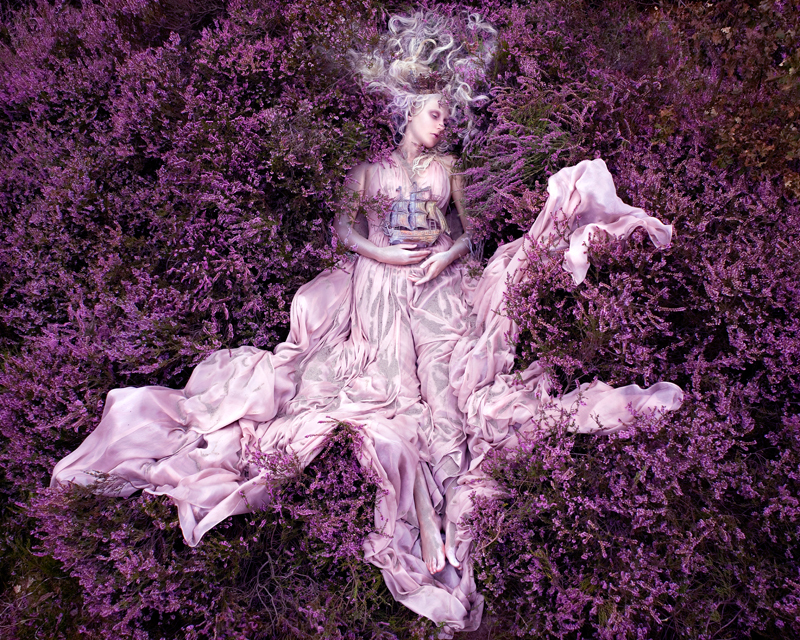 One cannot talk about Kirsty Mitchell’s Wonderland series, without speaking about the story behind it. And that’s exactly how it should be, especially since the artist intended the photographs to be a visual storybook. The style is overwhelming and easily recognizable as such. Before taking a look at the series one should take into account that Mitchell has a background in fashion. She has studied costume for film and theatre at the London College of Fashion and furthered her education with a 3-year degree in fashion design at Ravensbourne School of Art. Afterwards she had a 10 year flourishing career to boost. So why take up a camera? The trigger was the unfortunate event of losing her mother and this series, as Kirsty has put it many times, it a memento towards a greatly loved English teacher. 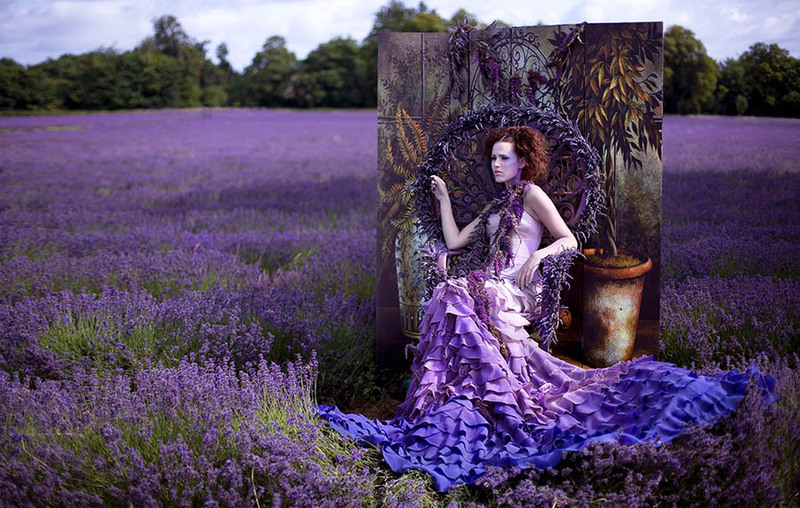 Wonderland actually has its basis in the stories Kirsty’s mother used to read to her. This, combined with the artist’s love for fashion and a rather amazing imagination, has brought to the public the photos below. The series is not for the faint-hearted. It is a very personal endeavour. Even though it has gained recognition and attention from Harper's Bazaar, Italian Vogue, BBC News, The Huffington Post and many others, the project continues to be a personal journey. Since 2008 and up until September 2014 there were 76 photographs in Mitchell’s collection, with the final 2 due this October, when the series will complete after 5 years of work. 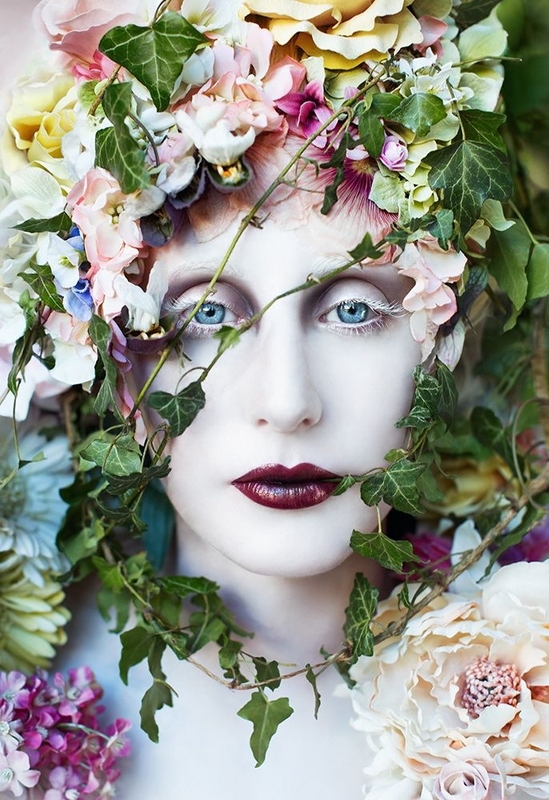 Together with hair and make-up artist Elbie Van Eeden, the artist set out to photograph the four passing seasons, wanting to touch upon all the colours of the rainbow. To that purpose, surreal costumes and make-up were created with extreme attention to detail. And stunning nature corners have been sought after. The endeavour holds deeper meaning and it is not for the faint-hearted because of its emotional complexity. 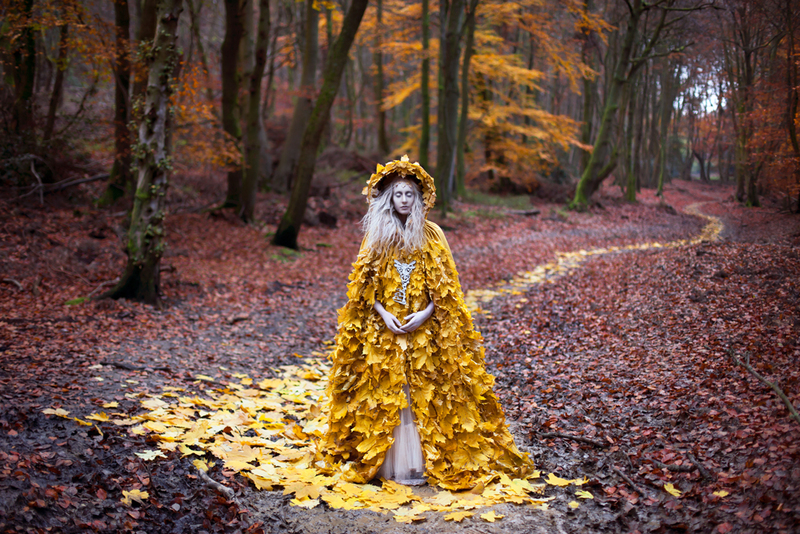 The part the artist says she loves the most is the physical work: searching for a location, battling the capricious ways of nature, making the dress and the props with a small budget, the overwhelming attention to detail. All this and the feelings behind it turn Wonderland into a fine arts project placed in a surreal frame. Also, the artist does use Photoshop for the touch-ups, so that everything can fall into the spectrum of Wonderland, but the scenes are all entirely real and can take months to create by hand. So, how does your Wonderland look like? Have you ever poured so much emotion into a project?